What’s to become of S.A advertising in the next 10 years? What was once a trendsetting and innovative industry has turned into the questionable, old looking dude at the club who is trying way too hard to be relevant. He uses words like ‘amazeballs’ and ‘lit’ to describe anything, and everything under the sun. It could be said that South African advertising is in a similar state, it is neither stagnant nor progressive. It is, however, not as attractive as it once used to be. Agencies used to be considered the holy grail of what’s trendy, cool and hip, but it seems the tables have turned, and they now turn to ‘Black Twitter’, youth ethos, as well as the ‘influencer’ world for content. A good, and most recent example of this is a video featuring three young men gassing Woolworths’s still/sparkling water – the video went viral on social media and birthed the hashtag #WoolworthsWaterChallange, which trended on Twitter for well over 48 hours, consumers started questioning why agencies are not producing more relatable content like that? Reality is: creating an ad campaign that resonates with viewers is no easy business, but it would take someone who has either worked in an agency or is currently working for one to know the politics of the client-agency relationship, as well as the tedious approval process that creatives endure. It is apparent that consumers still think of advertising as Ezweni Communications from Generations or better yet, Mad Men. Time demands change, and we have seen this through the evolution of advertising. Not so long-ago, agencies were hellbent on depicting black South Africans as a bunch of dancers. From Pantsula dancing for fast-food, Scamathamiya dance for building materials, to kwaito moves for cable television. Doom, Vodacom, Sunlight Washing Powder, Joko and Stumbo are some of the brands guilty of making black people dance for products. Stumbo went as far as creating a dance show to drive sales, and perhaps, create ‘brand awareness and brand love’. It was downright insulting. Before the rise of Facebook and Twitter, social media platforms were hardly used to gauge the relevance of a brand. But since the introduction of that and the push towards integration; a Twitter trend now forms part of the success of a campaign. A hashtag and an army of influencers can either make or break how culturally dialled in brands are. More recent than ever, we see an increase of content being informed by what people are talking about on social media. How many times have we called out media outlets for repurposing Twitter conversations as content for their publications? COO at M&C Saatchi Group SA, Neo Mashigo does not share the same sentiment. In his view, advertising agencies have never been the holy grail of what’s cool and current, instead, they were the driving vehicle of representing what was happening on the ground – to the mass audience. 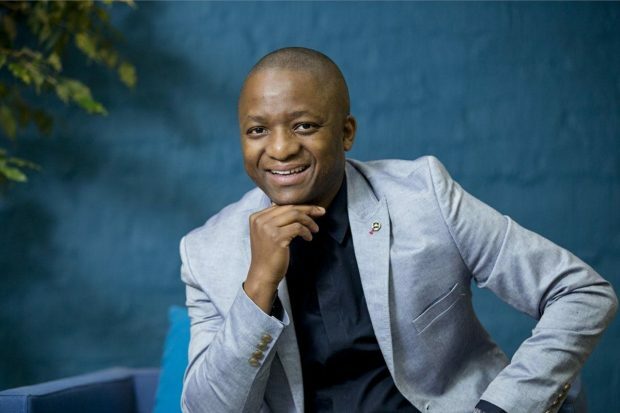 Notwithstanding that CEO of Ogilvy South Africa, Alistair Mokoena strongly feels like advertising will always have a place in the midst of everything happening, he suggests advertising agencies change their business module to adapt to the new wave of modern marketing. “The adverting industry is based on a module: The sender, message and receiver module. This module was developed in a particular context and the advertising industry’s business module was created in response to the sender, message and receiver module. What has happened, is that the communication module has changed. Unluckily, the advertising business module hasn’t adapted to a new communication module, and we are now faced with an existential question around what our role is,” he says. What do you think advertising will look like in 10 years’ time? Written by Thabang Buthelezi and Qamani Nyewe.